POWWR - FREE DEMO: Winter Peak Season is Coming: Avoid Your Gas Margins Going up in Flames! We will follow up with you to schedule your free web demonstration. 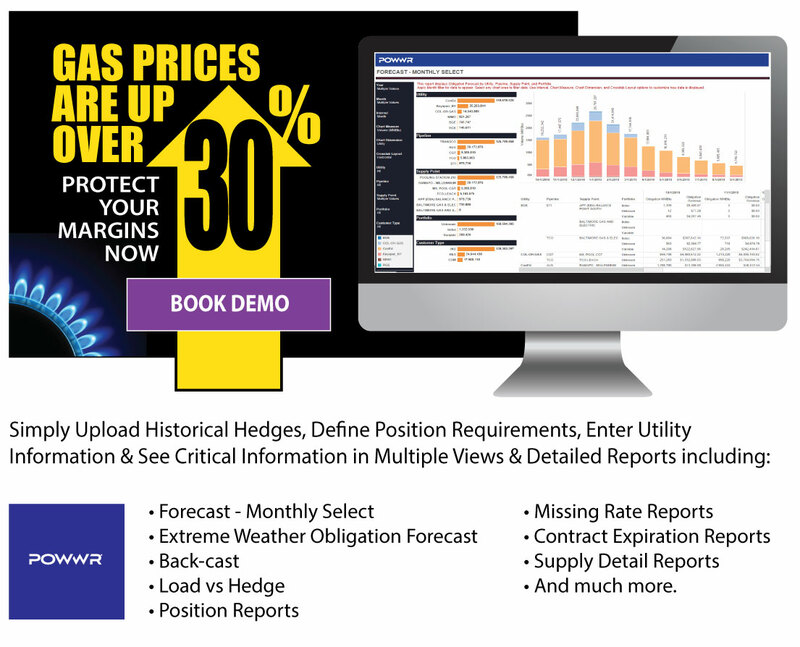 Gain more insights into your natural gas risk management immediately. Each day you are forced to react to changes to your daily delivery requirement (DDR). You’ve got tons of work to do…in so little time.